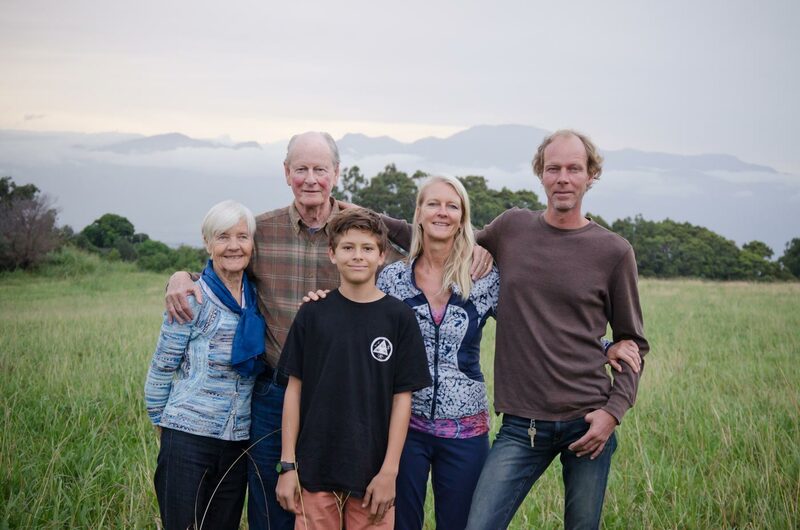 In June 2012, the Frost family of three generations—the youngest born and raised on Maui and of Hawaiian decent—became stewards of the amazing 258-acres mauka of St. Joseph’s Church in Makawao. It was the land that pulled at our hearts; an open canvas of magnificent rolling landscape rising up from 1,700 feet elevation to 2,200 feet at the top of the property. The breathtaking 360-degree views enveloped our senses. The pineapple fields had been abandoned seven years prior and had cattle grazing the entirety. One hundred and fifty years of mono-crop had diminished the health of the soil dramatically and the pulse of the land was weak and calling for help. The land’s desire to become healthy again could be deeply felt. The mission to restore the health of the land became our primary goal. Our family agreed to dedicate our efforts to land restoration, self-sustainability, resilience, community built around agriculture, restoration of native habitat, food production and integration of the Hawaiian culture. Hōkū Nui is the by-product of a global business the Frosts built between 2002-2010 here on Maui called Ergobaby. “It was the birth of my son that inspired me to develop a new type of baby carrier that became the Ergo Baby Carrier,” says Karin Frost. In the last six years, with the land as our guide, we have held steadfast to our vision. It hasn’t always been easy. We learned to adapt our grazing practices to an over production of grass and then not enough grass. We have weathered rain and drought. With the return of steady rain and sun, and the right balance of plants and animals—the land is bouncing back better than ever! The diversity of plant and animal life is outstanding. Despite the challenges of man and nature, we have persevered and achieved many of our regenerative goals. But there is still more to be done. Our family and all of the members of the Hōkū Nui ‘ohana are dedicated to creating a community where people can live in harmony and be sustained and strengthened by the land and each other. In this way, it is our prayer that we can give back and pay forward our blessings. Our commitment to the community and this project is long-term, we are stewarding this land for the benefit of many future generations.